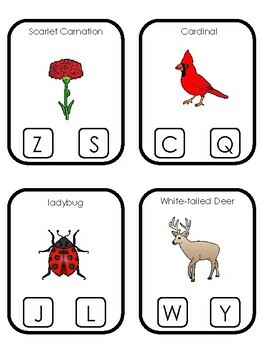 Ohio State Symbols themed Beginning Sounds Clip It Preschool Literacy Card Game. 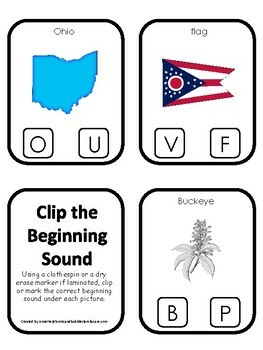 Ohio State Symbols themed Beginning Sounds Clip it Card Game. 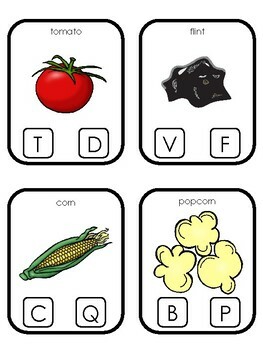 11 clip it cards and 1 cover card.